Meet City of Bright; formerly known as the Salah & Shekinah Band, it is made up of siblings Salah, Shekinah and brother Jeshua. 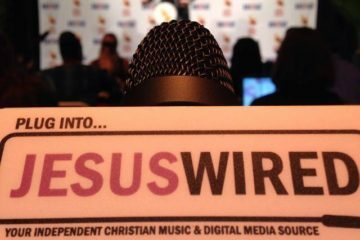 Sitting somewhere between the girl punk sound of Superchick and the electro melodies of Owl City, they won the Sidewalk Prophets National Cover Contest in 2013, appearing at Winter Jam. 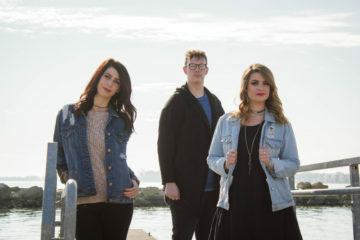 Since gaining popularity, they have opened for Grammy Award winning artists for KING & COUNTRY, and a plethora of well-known acts including Chris August, Plumb and Britt Nicole. Now delivering their self titled EP, the group worked with Donnie Cox (of Jeremy Camp) to produce their first release as City of Bright. Opening with “Never Too Far Gone,” a melancholy base line sits under synths and the smoky vocals of Shekinah. Building into the chorus, the message that “you are never too far gone” unleashes in the chorus, opening up the gates for an ethereal and synth heavy sound that drives home the message. Very Owl City-esque in the bridge where electronic beats go wild, there is a simplicity behind this song that drives home the message that God’s love is stronger than any circumstance. The piercing sounds of electro beats usher in “More,” and as the tempo hastens, Salah’s vocals beautifully deliver an up-tempo and honest track that addresses our fear of inadequacy. Increasing in the addition of clever rifts and instrumental choices throughout the song, we are given a hint at the musical prowess of this band. Building throughout, the chorus is an anthem that boldly dares the listener to ask God for more in life, so they can live fully surrendered to God. An intro combining the best elements of synth and strings brings together “Amazing,” and this feel good tune about doing life with God uses light tones to communicate the ethereal qualities of a God who created the universe. The imagery of the night sky communicates the awesome power of Christ, and we see the vocals lift for the first time. Finishing up with “He Believes In You,” the only ballad on the EP ties up the release with a heartfelt song, urging the listener to hold on because God “believes in you.” A stand out track, the melody is simple, and a heavy base line underlies the song. Percussion and light tones bring a hopefulness to the raw song, and the balance of the heaviness of life with the hope we find in God is beautifully delivered. A solid release from City of Bright, these five tracks show us a band willing to communicate the truths of God in world where the dark often overwhelms the light. Showing great strength in their musical abilities, their electro/pop sound creates a niche for them in the market that has been begging for a sound since the split of Superchick. With elements of musical quirkiness and a vocal quality which hints at the capacity for even greater things, this is a much welcome addition to the CCM and pop scenes. Missed our editor’s live google hangout with the band yesterday? You can watch it here.